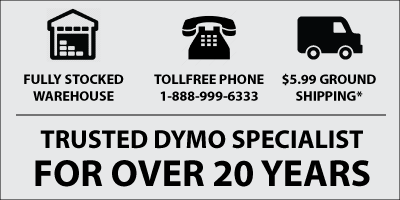 If you have a technical issue while using your Dymo LabelManager 160 (LM160) label maker, please try some of the following solutions, and if you don't have any luck, feel free to call or email us. - Ensure the label maker is turned on. - Replace batteries or connect the optional power adapter. - Ensure label cassette is installed properly. - Clean the print head. - Replace the label cassette. - Clean the cutter blade. - Additional characters cannot be added. - Only one line of text is allowed on 1/4” labels. - Up to two lines of text are allowed on 3/8” and 1/2” labels. - Delete a line to fit text within the label width. - Insert a wider label cassette. - Insert a label cassette. - Remove jammed label; replace label cassette. How do I remove the backing from the label? RHINO labels have an easy-peel split back. 1. Locate the split on the label backing. 2. Gently pinch the label length-wise, folding toward the printed side of the label. The label backing will separate. 3. Carefully peel away the backing from the label.